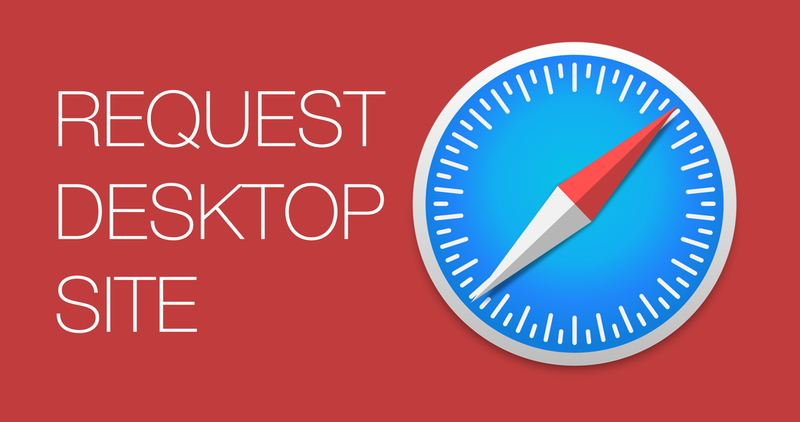 Want to quickly and easily request desktop site in Safari for iPhone, iPad or iPod? Here’s how you can do just that. Calling upon a desktop site in mobile Safari is a pretty straightforward task. You first open up a website, then tap on the share icon, swipe through a list of icons then just tap on the Request Desktop Site button. No big deal, right? Well, there are a lot of swipes and taps involved. Not exactly a smooth experience, if you’re asking me. So, what’s the easiest way to request a desktop site in Safari? This method is so simple that it’ll just leave you in awe. First and foremost, open up any website. Now tap and hold on the refresh page icon until you see the Request Desktop Site option. Tap on it and you’re done. Simple, wasn’t it? This is an extremely handy little tip that will save you a lot of time especially if you’re using a device like the iPhone, since Safari will pull the mobile version of any given site by default. On the iPad, it’s not much a problem at all, as Apple’s tablet tend to stick with the real-deal desktop websites by default. But on certain occasions, it does show the white flag and up the measly mobile version of a website on its own. Let’s hope one day Apple will default Safari to desktop sites without user intervention.